I am sad to report that Tony Robbins and Zig Ziglar have been eaten by a 13-story monster made of Jell-O, leaving the status of the world’s best motivational speaker up for grabs. Click here for a super-sized version. Your mommy doesn't want you to think about what you could do with a face on your belly. This entry was posted in A.I.M. 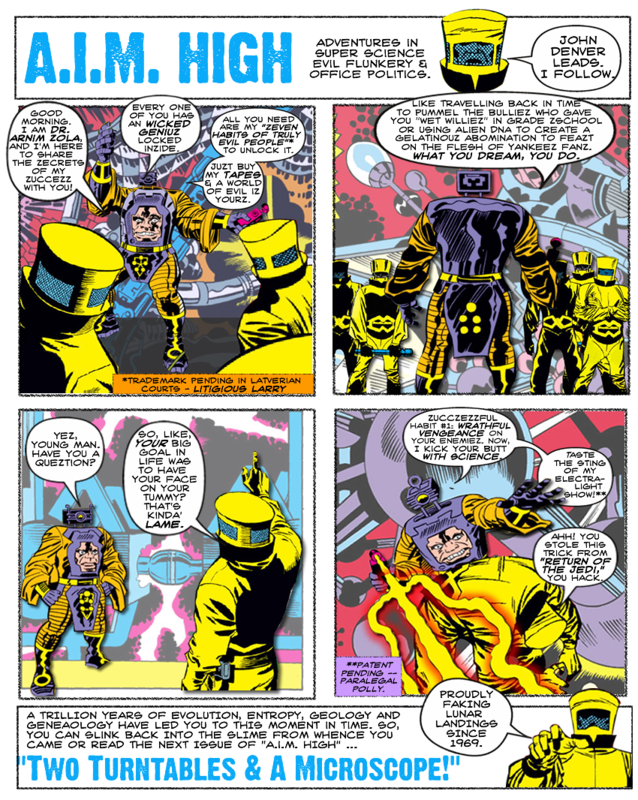 High, Comic Book Humor, Comic Books and tagged AIM, Arnim Zola, Comic Book, Comics, Marvel Comics, MODOK. Bookmark the permalink.